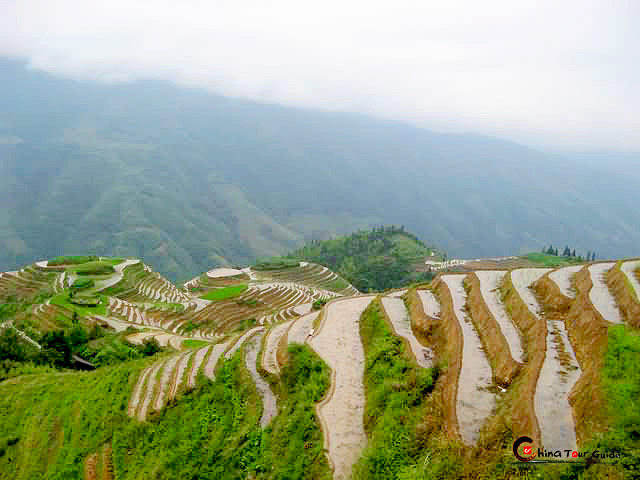 The Wind & Rain Bridge is a unique minority architecture of Dong people. It is a covered wooden-structured bridge with a long corridor body, on which two or more pavilion structures are set. The bridge usually serves as a welcoming architecture in front of a Dong Village and its name given by the Dong people is from the fact that the covered corridor of the bridge provides a fine shelter for them from rains and winds in bad weathers. 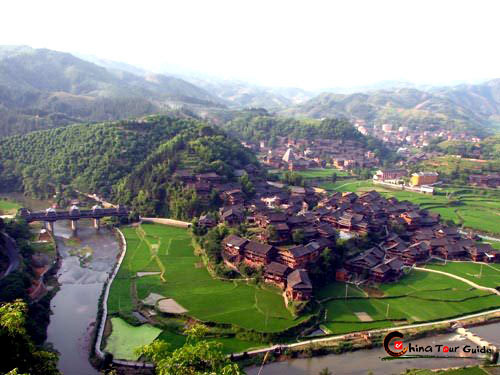 Chengyang villages, situated on the border of Guizhou and Guangxi provinces, serve as the best base for the exploration of this unique architecture. 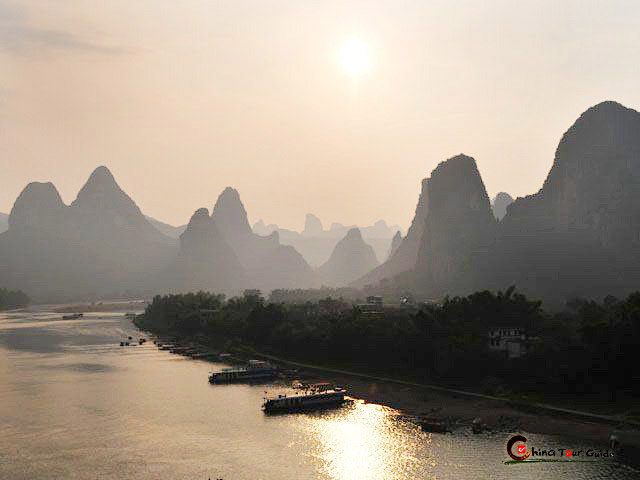 In this area there are five Wind & Rain Bridges, among which the Chengyang Bridge is the most well-known even out of Asia. 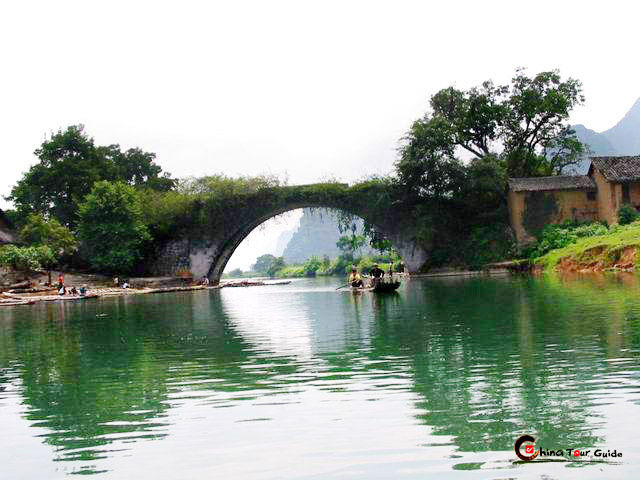 This bridge is made of wood and stone, making it a large bridge stretching across the Linxi River, having five stone-made large columns. Fir and wood board cover the surface of the bridge. 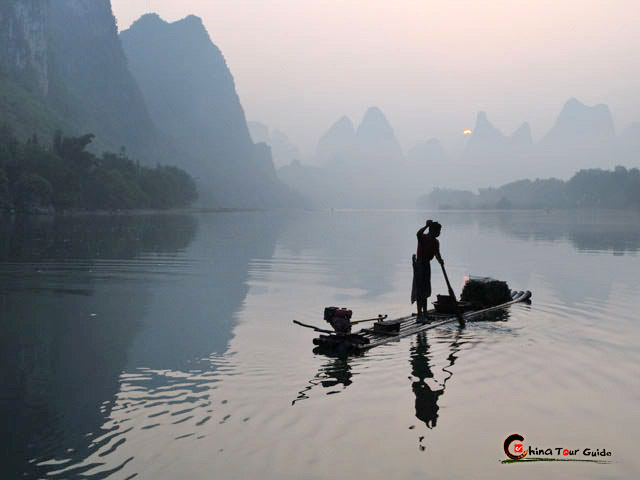 Moreover, the bridge is 64.4 meters long, 3.4 meters wide and 10.6 meters high. To one 's surprise, the bridge did not use any nails or rivets. Instead, talented Dong people dove-tailed many pieces of wood. However, several decades old, the bridge is still very sturdy. In a word, it is grand and looks like a brilliant rainbow crossing over the river.